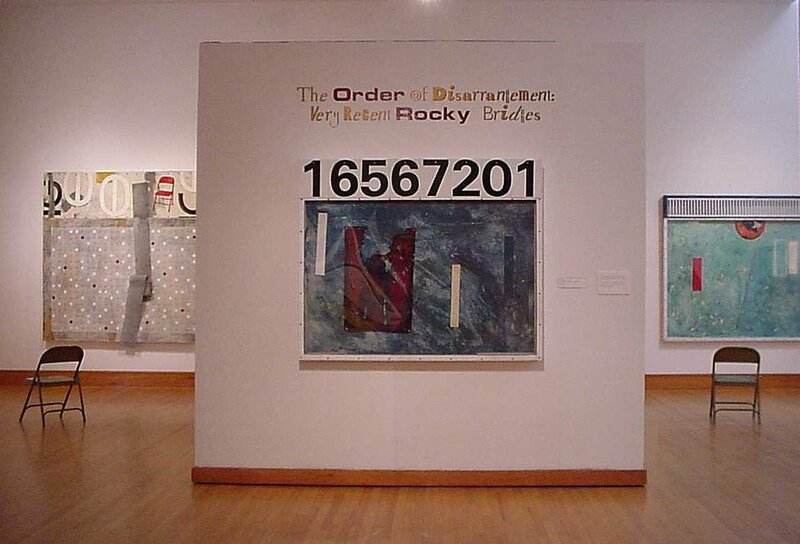 The Order of Disarrangement: Very Recent Rocky Bridges, 2001. In the midst of a three-year grant awarded by the National Foundation for the Advancement of the Arts, Tarpon Springs native Rocky Bridges has produced, during two intense periods of work, his most thoughtful and aesthetically dynamic artworks to date. Proceeding from the idea that clarity can be found within apparently random combinations of things and ideas, Bridges creates assemblages, paintings, and collages that are unexpectedly complete and harmonious even as they make us reach for the conception that unites them. As part of his grant award, Bridges will spend the summers of 2000-2002 immersing himself in the production of art in Miami. Culling from the work he has produced during his first two summers, the Polk Museum of Art is presenting a selection of Bridges’ work that reveals the impact that the South Florida environment has had on his style. The scale of his work has increased significantly due in no small part to the roomy studio he has used. By spending more of his time working inside, he has also been able to incorporate more fragile materials into his work. Most subtle, yet perhaps most significant, have been the alterations in Bridges’ compositions and use of color. The light-colored skies, clear water, and host of exotic cultural debris have brought an airiness to his work that elevates it to a transcendental plane even as it continues to touch on the assemblage style of Robert Rauschenberg. Rocky Bridges is currently a faculty member at the Harrison Center for the Arts in Lakeland. He is a graduate of The Cooper Union in New York.